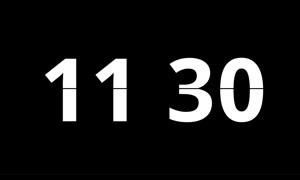 Written Clock shows you the time in words. Use it as a wallpaper, screensaver or to get a quick glance at the time. This elegant clock will for sure make your friends and family check it twice. Unique time teller. 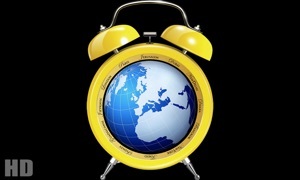 For something truly different and distinctive on your Apple TV screen, Written Clock gives you the time in words. As the time changes, the words will shift from grayed-out to highlighted. So, you can easily read the time, any time. 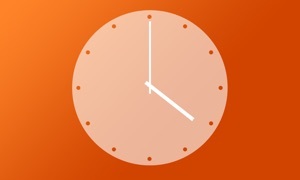 Written Clock is just that, a written clock. 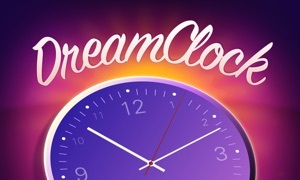 The app displays a screen of words that can describe what time it is, graying out the ones that don't apply and displaying the ones that do in white, bold font. It's an interesting concept, but definitely a busy display. You have to look for the bold, white words, since they might not always stand out from the background. 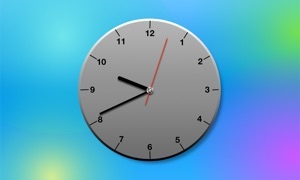 Still, Written Clock is great for an alternative to the standard fare of analog and digital timepieces. You remember the old phrases like, "quarter past eleven." Written Clock makes you think a bit, but you don't have to do any mental mathematics to find out the time. 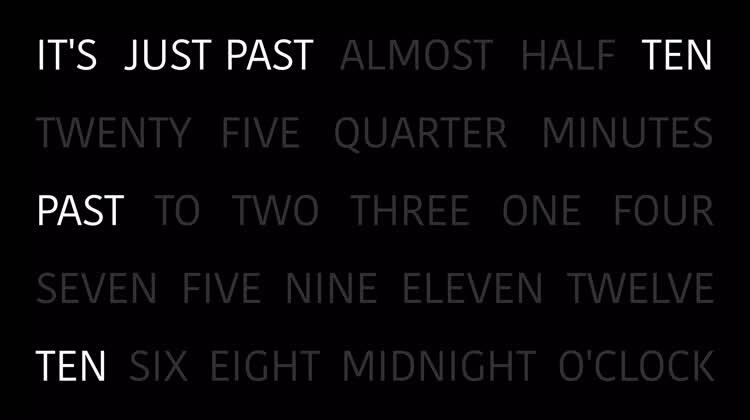 You just have to pick out the right words, which display the time in phrases like "It's five past seven." It's definitely a conversation piece app, providing time-related entertainment as the words change and different times are displayed. Bring this truly unique clock to your flatscreen at home! Written Clock shows you the time in words. Use it as a wallpaper, screensaver or to get a quick glance at the time. This elegant clock will for sure make your friends and family check it twice! We try to give our best when developing app and we are of course open for all feedback. So if you find a bug or if you have a great idea for improvements, don't hesitate to contact us!